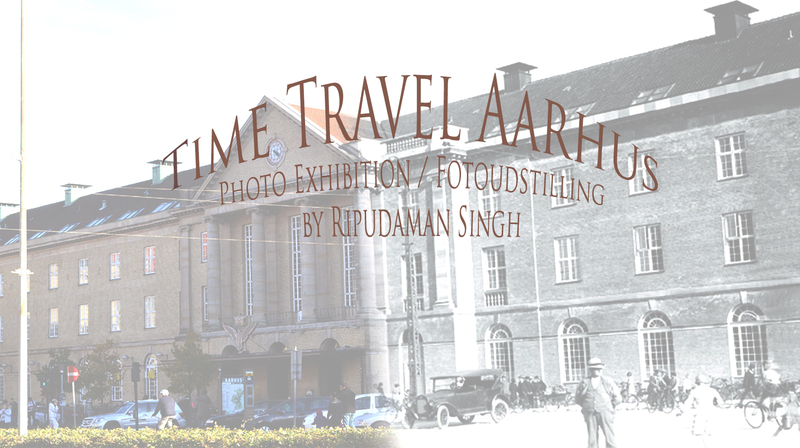 ‘Time Travel Aarhus’ is a photo exhibition created by Ripudaman Singh in which he has blended the ‘new Aarhus’ with the Aarhus of the past. In each exhibit, the old picture is from a public database and the new picture is taken between 2013-2015. The exhibition will give the audience an opportunity to travel in time and experience how life has changed/not changed over the years, and experience how the streets, buildings, and other landmarks have borne the brunt of time. The exhibits will also intrigue those who are new to the city and offer them the opportunity to explore these transitions. The way the pictures are blended is also intentional. The intention is to reflect communication between the two eras. 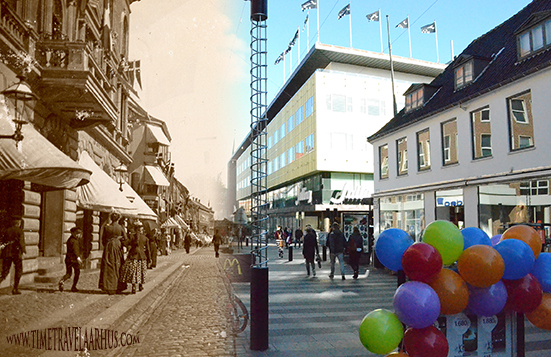 A boy, walking on a street, getting tempted by colorful balloons 121 years in the future is an example that one can see in the picture from Søndergade. The fuzzy border between the old and the new pictures presents a fluid transition between time zones – what is new will become old one day. Time travel has always fascinated mankind. The desire to reach in the past and observe it with the eyes of the present is something that drives that fascination. ‘Time Travel Aarhus’ gives the audience a tool to fulfill that desire. This exhibition was launched in Musikhuset Aarhus in February 2015, where it was on display for 4 months. Since then the exhibition has been hosted at 5 different locations in Aarhus. There are a total of 44 pictures in the exhibition.